Students from the Sciences Po University in Paris are hosting ‘Hijab Day’ to combat the stigma surrounding the headscarf worn by Muslim women. Organizers from the group’s Facebook page said “Veiled or not, we are all equal,” and more than 250 people said they would attend the event, which will finish at 9 p.m. on Wednesday. Both males and females were welcomed to try on headscarves and participate in tutorials and discussions. “We believe a single symbolic action such as covering our hair for a day in class, in the street, etc, still allows us to take conscience of the looks and - well, at least an impression of the experience of stigmatization that a lot of veiled women in France go through for too many years,” organizers added on the event page. 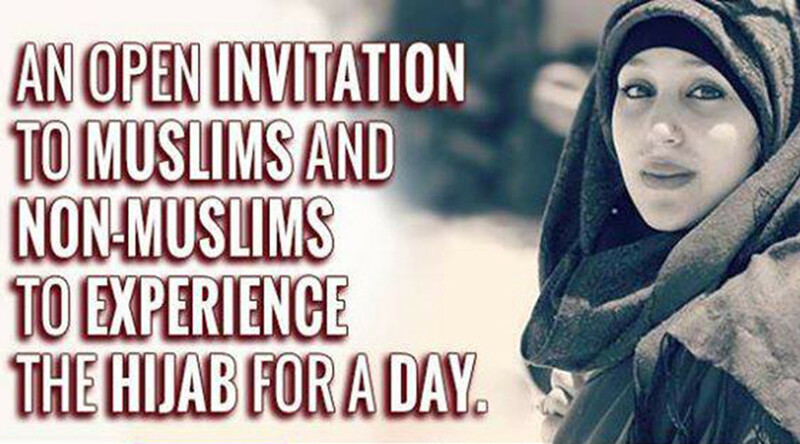 #HijabDay@sciencespo, really good initiative for women to express their point of view ! It's not about communitarianism just understanding. Sciences Po University does not support the initiative, even though it “allowed” Hijab Day to take place. Twitter trolls accused the university of “ignoring the rights of the secular French Republic” and called the hijab “oppressive” to women.
.@LIBERTE46879517@sciencespo Comment des jeunes peuvent-ils cautionner une pratique archaïque qui asservit la Femme ? France banned the full face veil in April 2011 and has repeatedly been accused of stigmatizing the country’s 4.7 million Muslims. Earlier this month, Socialist Party minister Laurence Rossignol compared Muslim women who wear the veil to “American negroes” who supported slavery.